Tax time may be over, but before you store your return in the attic, take a moment to review it. According to the Michigan Association of CPAs, you’ll find that you can discover a lot about your financial situation and identify changes that will improve your tax outlook before it’s time to file next year’s return. Two kinds of “filing” are important when it comes to taxes, beginning with the filing you do to keep your records, receipts and other important documents in order so that they’re accessible and organized when tax time comes. If preparing for tax time was a hassle this year, remember that if you know where to find your paperwork, it will be less of a challenge to gather the information you need to file your return accurately and on time next year. Your tax return will reveal whether you’ve made the most of your tax-advantaged retirement saving options. If you haven’t, it’s a good idea to change your habits. If you qualify for a regular or Roth IRA, for example, we can help you consider which choice is best for you. In addition, business owners who qualify for SEP-IRAs but aren’t making their full contribution may want to step up their savings this year. Finally, employees who aren’t contributing their full share to employer-sponsored retirement plans forgo not only tax advantages but also any matching contributions their employers might make. Filak CPA Group can explain which options are open to you and how much you can contribute. Did You Take the Right Tax Deductions and Credits? Many people are aware of the deductions for state taxes or mortgage interest paid and they may be familiar with popular tax credits, such as the Hope and Lifetime Learning Credits for education expenses. Based on your situation, you may also qualify for other deductions and credits that can lower the taxes you pay by hundreds or thousands of dollars. Take the time to review your 2011 tax return with us to determine whether some smart tax planning can help you qualify for a greater range of deductions or credits this year. Speaking of deductions, if you’re coming to the end of your mortgage loan and your mortgage deduction isn’t as big as it used to be, it may be time to consider pumping up your monthly payments so you can get rid of your mortgage sooner, leaving you with more money for a child’s college tuition, retirement or some other goal. Once again, Filak CPA Group can provide advice. What’s the Best Use of Your Refund? 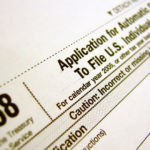 If you qualify for a tax refund, the Internal Revenue Service allows you the option of depositing it directly into up to three different savings or checking accounts that you select (you can, of course, also choose to receive your refund in a check). For more information, go to www.irs.gov/form8888. CPAs recommend putting your refund straight into a savings or retirement account so that you can begin to earn interest on it immediately. If you deposit the money into a checking account, it could end up being spent on daily extravagances and disappear before you know it. Another smart choice would be to use your refund dollars to pay off outstanding debt, beginning with high-interest credit cards. That will help you avoid significant outlays on future interest charges on those balances. Not sure how to identify all the lessons you can learn from your tax return? Remember that we can help, after all that is what we are here for! Turn to us for expert advice on all your financial questions.